ERISA litigation can be challenging. You don’t get a jury – your case is generally heard by a federal judge. There is usually no live witness testimony – your case is generally heard on what is called a closed administrative record, meaning only the documents the administrator has upon making a final decision to deny your claim. Finally, there is a concept called standard of review, which means how the federal judge reviews that administrative record. There are two forms of standard of review: de novo review – “novo” is Latin for “new,” so de novo essentially means new review, where the reviewing court must find the decision to be wrong for you to prevail, and arbitrary and capricious review – often called “rational basis review,” where the decision will be upheld unless the reviewing court finds it to be unreasonable as a matter of law. In order for your case to be heard under the rational basis standard, the disability insurance policy or plan document creating your rights must contain what is called a delegation of discretionary authority, meaning language in the insurance policy or plan document granting the insurance company or administrator authority to interpret the policy or plan document and authority to determine whether the disability benefits will be paid. 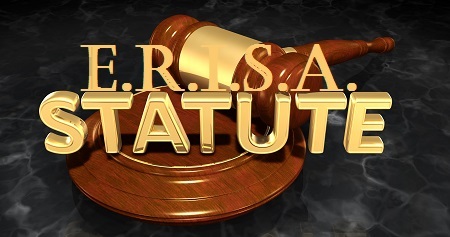 Some states have laws which require all cases to be heard under the de novo standard, which is generally more favorable for people suing under the ERISA statute. Florida, where Coffman Law practices, does not have such a law. Employees of government and church employers are generally exempt from ERISA and can bring their disability insurance cases under state law, which is usually more favorable than ERISA, although these employers can elect for their plans to be governed by ERISA (such elections are very rare). If you have questions about your rights under a disability insurance policy, it is usually a very good idea to consult an attorney with experience in disability insurance litigation. Coffman Law restricts its practice to disability insurance litigation throughout the state of Florida, with an emphasis on ERISA litigation. We would be happy to speak with you about your disability insurance claim.